Debuting three new feature-length titles in 2011, the DC Universe Animated Original Movie direct-to-video line from Warner Home Video moved over 1.2 million home video units during the calendar year. The above number comes from the three new DC Universe Animated Original Movie titles that debuted this year – All-Star Superman, Green Lantern: Emerald Knights and Batman: Year One – and those numbers are expected to see some growth, though likely slight, during the 2011 holiday season. Note that all numbers listed in this articles are estimated numbers only based on research and market analysis. 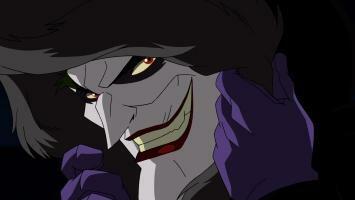 Among the three new DC Universe Animated Original Movie titles, the February 2011 All-Star Superman animated feature has moved the most units since its release date, predictably so given it’s early in-the-year release date, moving an estimated 265,000 DVD units and 275,000 Blu-ray units since hitting shelves. Home video retail outlets are expecting the title to finish with nearly 550,000 of combined units sold by the end of 2011. 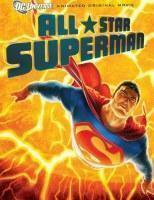 The direct-to-video All-Star Superman animated feature debuted to 187,000 home video units copies sold in its first week of sales, the week ending February 27th, 2011. The second feature-length DC Universe Animated Original Movie title released this year, released Summer 2011, the direct-to-video Green Lantern: Emerald Knights animated feature has moved 183,000 DVD copies and 204,000 on Blu-ray since its debut. The direct-to-video Green Lantern: Emerald Knights animated feature debuted to 230,000 combined Blu-ray and DVD copies sold in its first week of sales, during the week ending June 12th, 2011. The animated feature experienced a boost in sales with due to the summer big-budget Green Lantern theatrical feature. The Green Lantern: Emerald Knights animated feature is expected to close the year with roughly 390,000 in combined DVD and Blu-ray sales. Lastly, the final 2011 release under the DC Universe Animated Original Movie banner, Batman: Year One has proven to be a solid seller on the home video market. The title moved 167,000 total DVD and Blu-ray units in its first week, and over 290,000 to date. The majority of sales, over 60%, came from the Blu-ray format. The high-definition format is quickly becoming the dominant avenue for consumers purchasing titles in the DC Universe Animated Original Movie line. The critically-acclaimed direct-to-video animated feature is also expected to finish out 2011 with a projected estimate of 300,000 combined Blu-ray and DVD units sold according to home video retail outlets. Please note the above sales numbers do not take into account rental numbers, OnDemand numbers or legal download numbers. Sales numbers are estimates gathered through independent research, market analysis and various home media retailing outlets. Additionally, sale numbers from titles released before the 2011 calendar year are not taken into account. Also remember to take into account release date and character marketability when comparing sales numbers for each title. 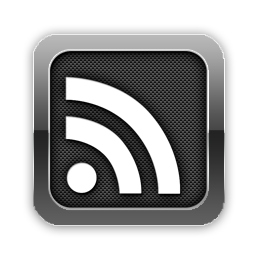 A detailed look at the sales of each release can be found in the news archives here at The World’s Finest. Note: Thanks to everyone for a great year here at The World’s Finest! 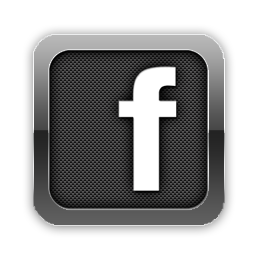 Thanks to everyone who took the time to visit this site in 2011, and hopefully will continue to do so in 2012. Happy New Year! The direct-to-video Superman/Batman: Apocalypse animated feature will make its network debut Sunday, January 15th, 2012 at 9:00pm (ET) on the Canadian network Teletoon. This continues a month of special DC Universe Animated Original Movie-themed events on the Teletoon Fred At Night programming block. Teletoon will be airing various titles from the popular DC Universe Animated Original Movie line every Sunday night at 9:00pm (ET) during the month of January 2012, with further information on the programming initiative available below. 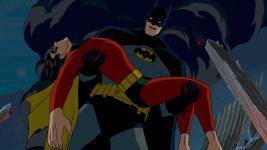 Superman/Batman: Apocalypse features Batman and Superman trying to save the newly-discovered Supergirl from the evil clutches of Darkseid. 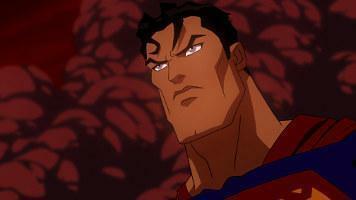 Official details on the Superman/Batman: Apocalypse animated feature, released by Teletoon, are as follows. The Man of Steel and The Dark Knight return in an all-new adventure, one in which the fate of the world rests in the balance. 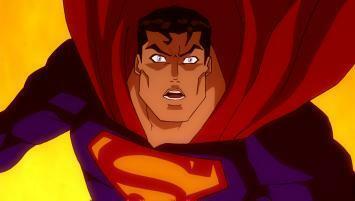 Complete details on the direct-to-video Superman/Batman: Apocalypse animated feature can be found at the Superman/Batman: Apocalypse subsite here at The World’s Finest. Superman/Batman: Apocalypse airs Sunday, January 15th, 2012 at 9:00pm (ET) on Teletoon, with an encore presentation immediately following on the same night at 11:00pm (ET). Three other DC Universe Animated Original Movie titles will air on the Fred At Night block during January 2012 – including Batman: Under The Red Hood, Wonder Woman, and Superman/Batman: Public Enemies – one feature airing each Sunday during the month beginning with Batman: Under the Red Hood on January 8th, 2012 at 9:00pm (ET). 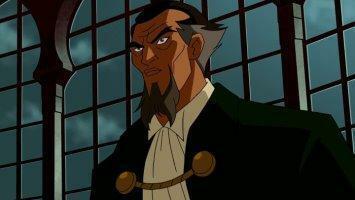 Further details on the Batman: Under the Red Hood airing can be found here. Additionally, as previously reported here, Justice League: Crisis On Two Earths airs Friday, December 30th, 2011 at 7:00pm (ET) on Teletoon. 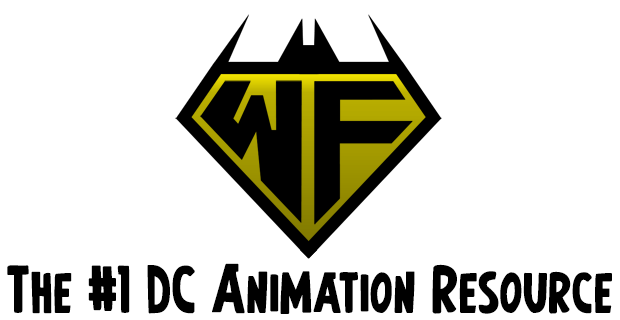 Stay tuned for further schedule updates and details on the latest DC Universe Animated Original Movie titles here soon at The World’s Finest. Six issues of the current The All-New Batman: The Brave and The Bold comic title, published by DC Comics and based on the acclaimed Batman: The Brave and The Bold Cartoon Network series, are set to be collected later this year in a new trade collection for the title. The issues collected, issues #7 – 12, feature Green Lantern, Aquaman, Hawkman, Zatanna, Joan Hex, and a host of other classic DC Comics characters. All collected stories are written by Sholly Fisch and feature artwork by Rick Burchett and Ethen Beavers. While an exact street date has not been set, The All-New Batman: The Brave and The Bold – Help Wanted is set to hit shelves in August 2012. Please note the name of the collection may possibly change before the final product and street date details are released by DC Comics. While this is the second trade paperback collection for the The All Batman: The Brave and The Bold DC Comics title, it is the fifth overall for the two comic titles based on the fan-favorite animated series, the previous volume simply titled Batman: The Brave and The Bold. Three other trade paperbacks for the previous Batman: The Brave and The Bold comic series have been published. 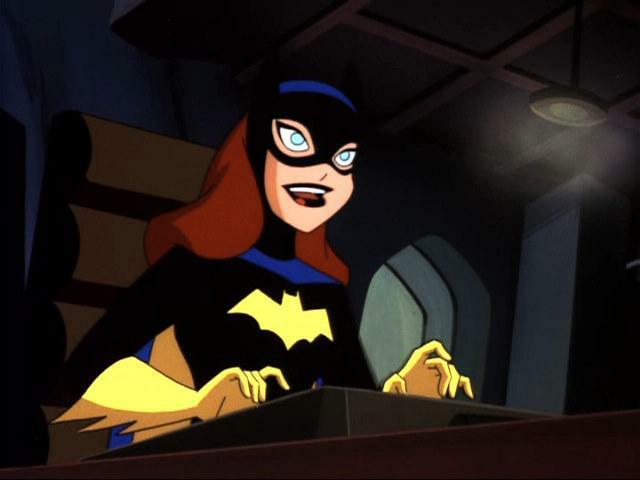 More details on the comic titles inspired by the Batman: The Brave and The Bold comic series can be found at the The World’s Finest Batman: The Brave and The Bold subsite. 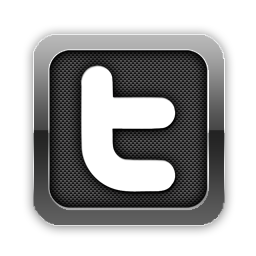 Stay tuned for further details here soon at The World’s Finest. The Canadian network Teletoon has released schedule details for January 2012, including press information for new episodes of Young Justice slated to debut during the month. While complete specific episode details will not be available for Teletoon until next week, below is the overall description provided by the network. Being a teenager means proving yourself over and over to peers, parents, teachers, mentors and ultimately, to yourself. But what if you were a teenage superhero? How much harder would it be to prove yourself in a world of super powers, super villains and super secrets? Would you be ready for life-or-death rites of passage? Would you be ready to join the ranks of the great heroes and prove you’re worthy of the Justice League? That’s exactly what Robin, Aqualad, Kid Flash, Superboy, Miss Martian and Artemis will find out as members of Young Justice. The episode “Alpha Male” is schedule to debut Friday, January 6th at 7:00pm (ET) on Teletoon, with further episode specific details slated for availability next week. In further schedule news, Cartoon Network has released details for the month of January 2012. 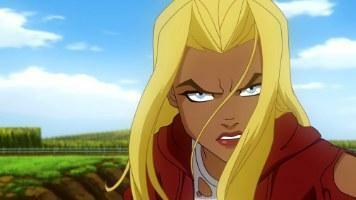 No new episodes of Young Justice are slated to debut during the month, with the series completely absent from the current schedule listings. 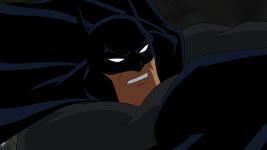 Batman: The Brave and The Bold is also completely absent from the schedule listings for January 2012. Stay tuned for further schedule details right here at The World’s Finest. The 2010 direct-to-video Batman: Under The Red Hood animated feature is slated to kick off a month of special DC Universe Animated Original Movie events on the Fred At Night programming block beginning Sunday, January 8th, 2012 at 9:00pm (ET) on the Canadian network Teletoon. 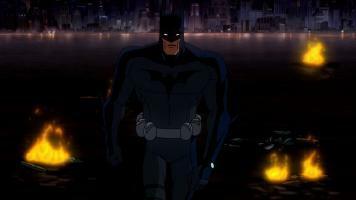 Batman: Under The Red Hood features Batman facing off against a mysterious vigilante with ties to his past. Official details on the Batman: Under The Red Hood animated feature, released by Teletoon, are available below. A figure from the Dark Knight’s past unexpectedly returns, forcing him to revisit the most tragic event of his crime-fighting career. A twisted, disfigured character known as the Black Mask has seized control of Gotham City’s criminal underworld, but his supremacy is undermined by the arrival of the mysterious Red Hood. As the violence escalates and the truth unfolds, the Caped Crusader soon comes to the painful, shocking realization as to whose face is really under the hood. Starring Bruce Greenwood and Jensen Ackles. 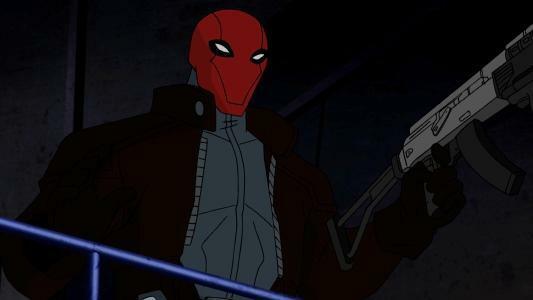 Complete details on the direct-to-video Batman: Under The Red Hood animated feature can be found at the Batman: Under The Red Hood subsite here at The World’s Finest. Batman: Under The Red Hood airs Sunday, January 8th, 2012 at 9:00pm (ET) on Teletoon, with an encore presentation immediately following on the same night at 11:00pm (ET). 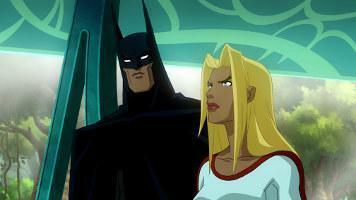 Three other DC Universe Animated Original Movie titles will air on the Fred At Night block during January 2012 – including Superman/Batman: Apocalypse, Wonder Woman, and Superman/Batman: Public Enemies – on each subsequent Sunday. Additionally, as previously reported here, Justice League: Crisis On Two Earths airs Friday, December 30th, 2011 at 7:00pm (ET) on Teletoon.